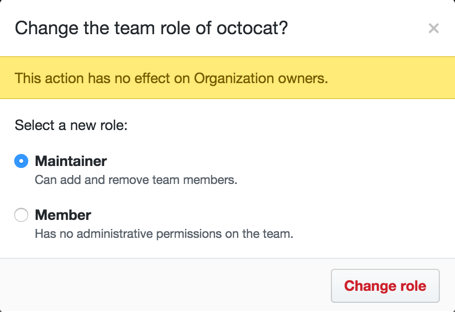 Before promoting an organization member to team maintainer, the person must already be a member of the team. 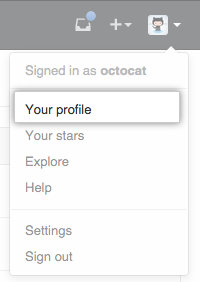 Select the person or people you'd like to promote to team maintainer. 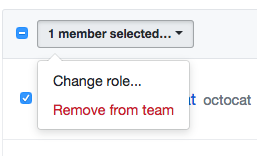 Select a new role and click Change role.